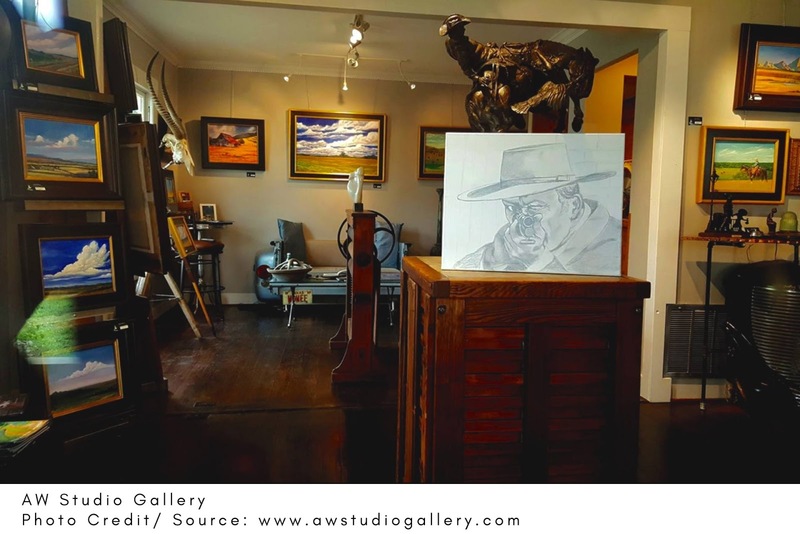 If you find yourself in Fredericksburg's Historic District, you need to check out the AW Studio Gallery. This is the working studio of Alan Wilcox, who is a painter and artist. The building is like a 1941 cottage and gives you the chance to walk through history. You'll find the works of Alan Wilcox displayed alongside other estate pieces. If you stop by at the right time, you can see AW at work. Much more than just a gift shop, Urban Herbal is a greenhouse, garden, and art gallery. Family owned and operated, Urban Herbal has been a staple in the Fredericksburg herb industry since 1985. You need to check out Urban Herbal not only for cooking herbs, medicinal herbs, and organic personal care but also for the art gallery and gardens. You'll find the work of both regional and national artists at Gallery 330. The displays are done using lots of different styles and mediums so you're bound to enjoy the variety. Located in the Agust Itz Building, which provides lots of history in and of itself, Gallery 330 specializes in contemporary realism and impressionism. There's nothing sweeter than visiting Fredericksburg's first community arts education center, also known as Jill Holland's Yellow Door Studio. The center offers lots of training for artists of all skill levels. Come with a friend and bring a bottle of wine with you! You can enjoy a class or a professional workshop and the Studio is family-friendly for kids, as well. At the InSight Gallery, you'll find the finest works of painters and sculptors focusing on still life, impressionism, landscape, figurative work, wildlife, and Western art. The InSight features the best originals of regional and national artists. 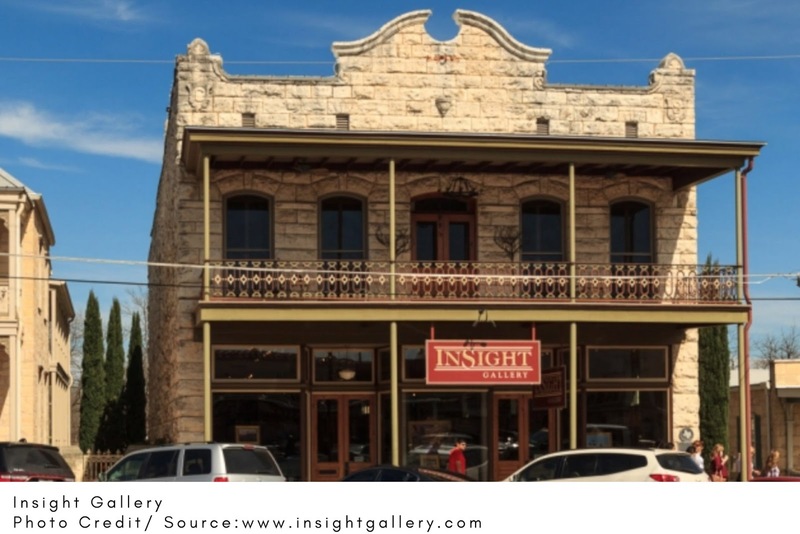 The Gallery at Vaudeville is a unique place where you can find contemporary art in the heart of Texas Hill Country. The primary goal of the Gallery is to serve and enrich the community by sharing contemporary art. Who knows, you may leave with a piece of artwork to take home. This gallery is known as Fredericksburg's "jewel box of fine art." Featuring many works by fine artists, you'll find watercolors, bronze and woodwork, oil works, and lots of emotion. 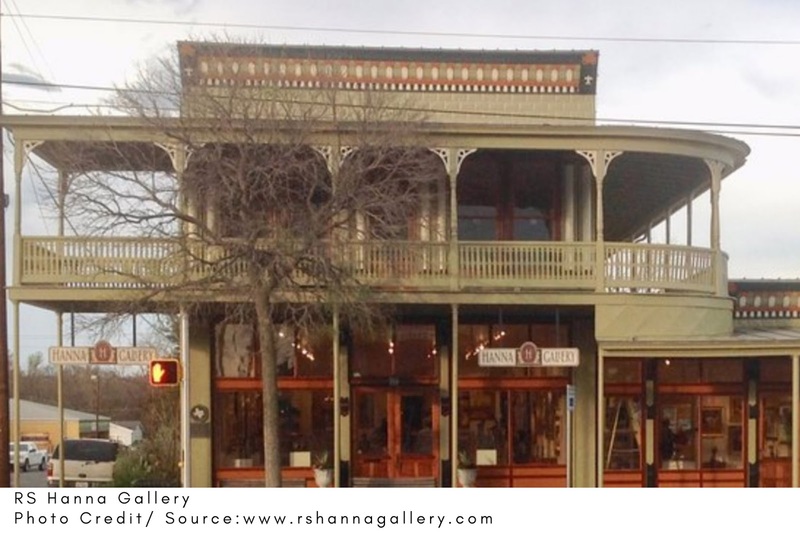 The RS Hanna Gallery is meant to feature the fine local talent in Fredericksburg. Nothing beats the feeling of the old school. 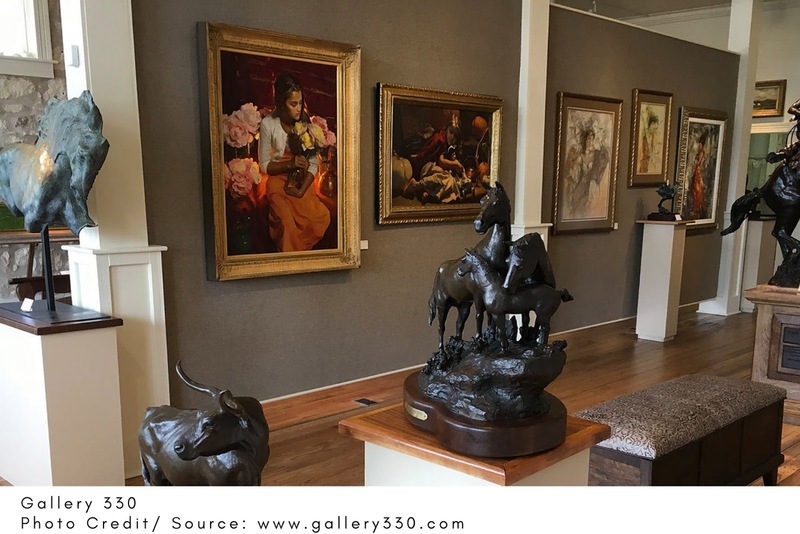 Larry Jackson galleries specialize in 18th- and 19th-century art and antiques from America to Europe. With new arrivals daily, you'll be fascinated with antiques bargains and deals on furnishings and decor in the consignment area. The Grasshopper is a gallery of fine gifts from all over the world, especially local-made woodwork. Discover their extensive selection of German nutcrackers and beer steins as part of their wide array of collectibles. Find the fine art of works from people like Jack Terry, the pottery from Ron Hollister, and the sculptures from Mark Hopkins. Johann and Kristin Eyfells put together this art gallery of oversized geometric paintings of celebrity faces and bold, organic sculptures. This gallery is a wonderfully interesting stop to include in any visit to Fredericksburg. 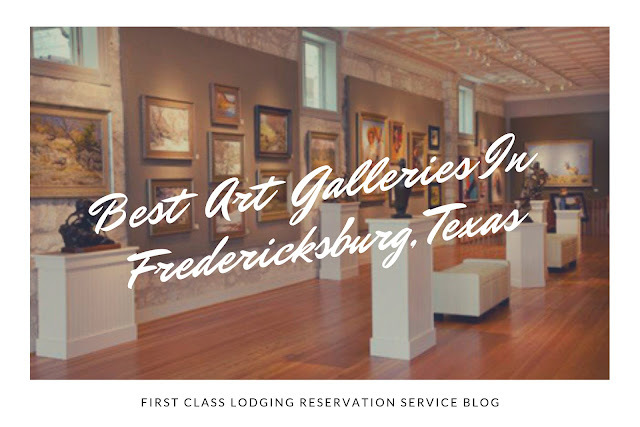 There's lots of fun to be had in the many art galleries of Fredericksburg. Relax and enjoy the unique qualities of each gallery.